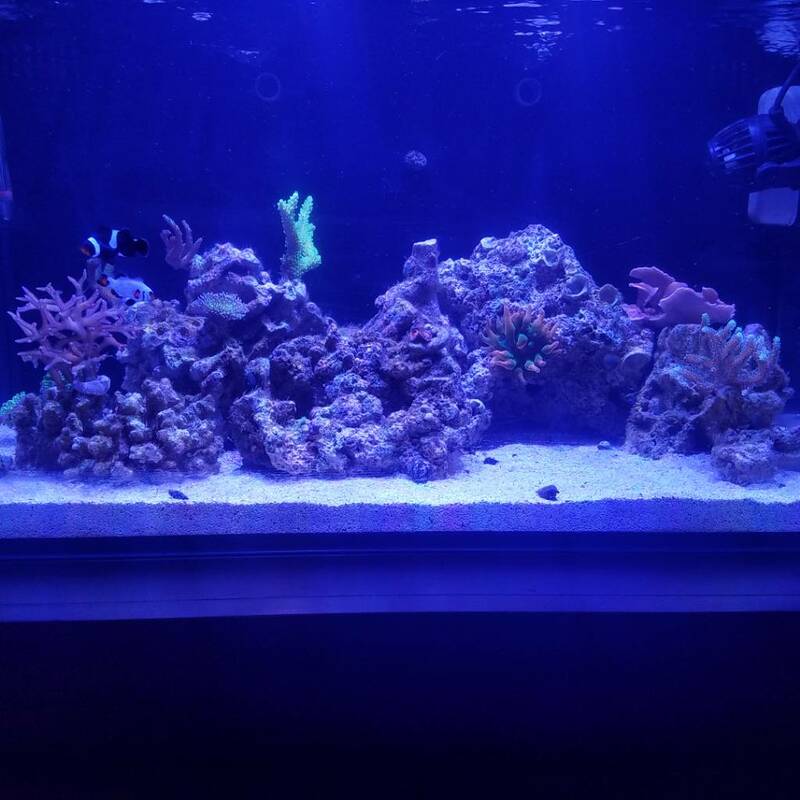 Bought a Nuvo 20 off a member off here since I couldn't set up my 40 due to the landlord. Hopefully that changes when we move this summer (though an upcoming bundle o joy may change my perceptions!). Anyhow, here it is in all it's glory. Beautiful setup bro! 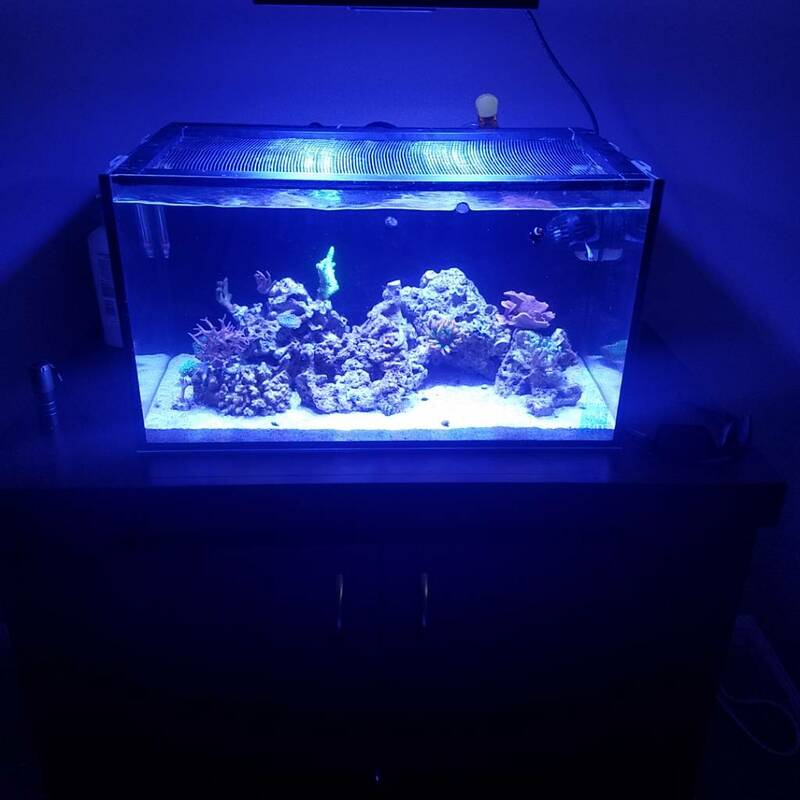 Lemme know if you have algae or Bryospis problem, I think I finally got mine solved with Reef Flux. Thanks for the kind words Tommy! 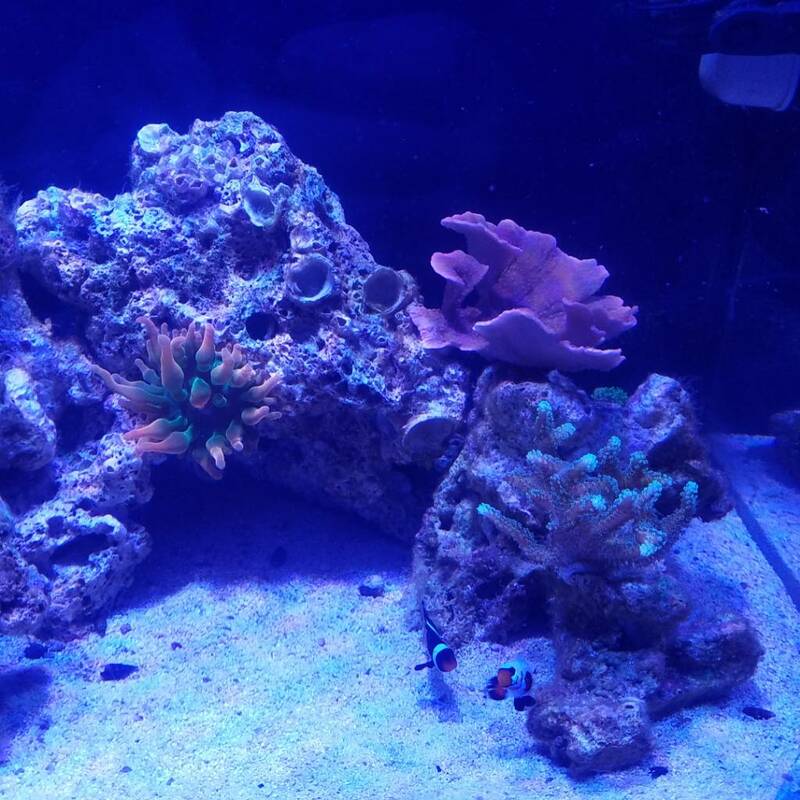 I still have some algae, but it's steadily been on a decline. I did have some bryopsis, may still have more. 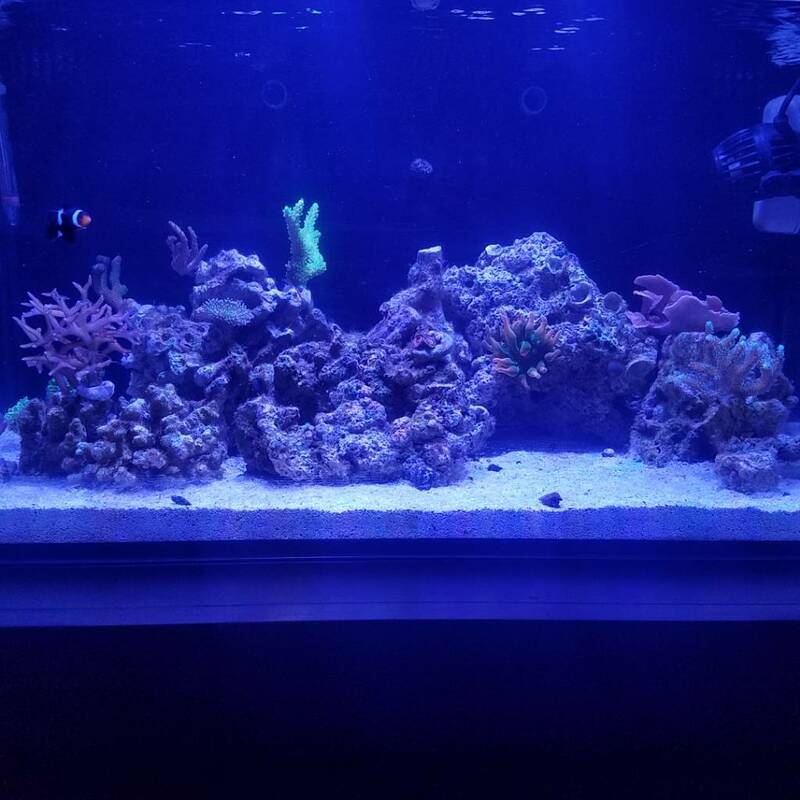 I'm hoping my bad algae days are behind me. Cleaned up the stand today too. Nice tank!!! A lawnmower Blenny could help keep your algae from resurfacing. Thanks! 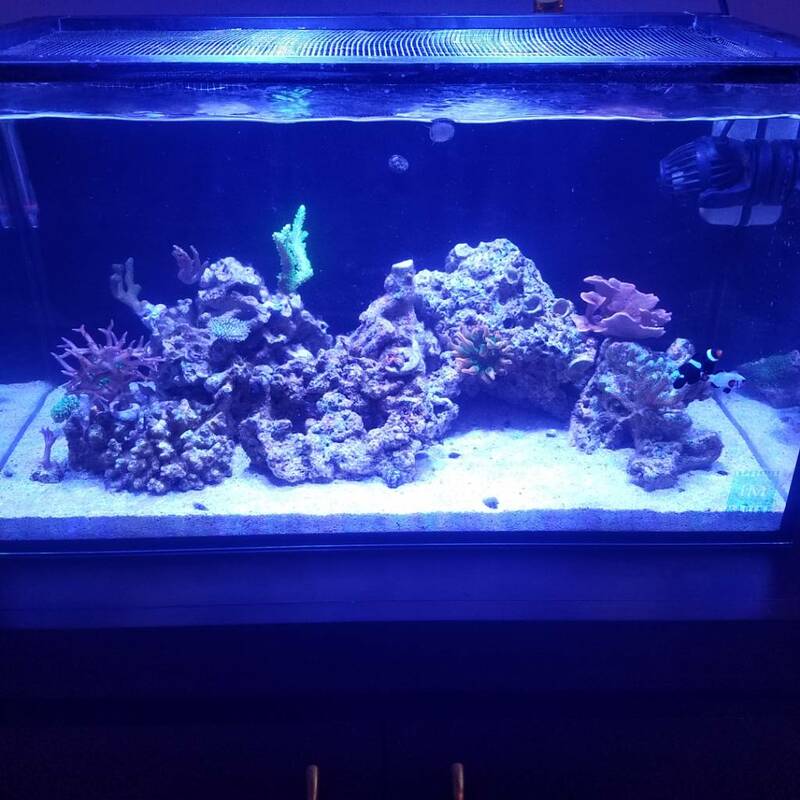 Reef Flux destroyed the algae. Here's hoping it doesn't come back. 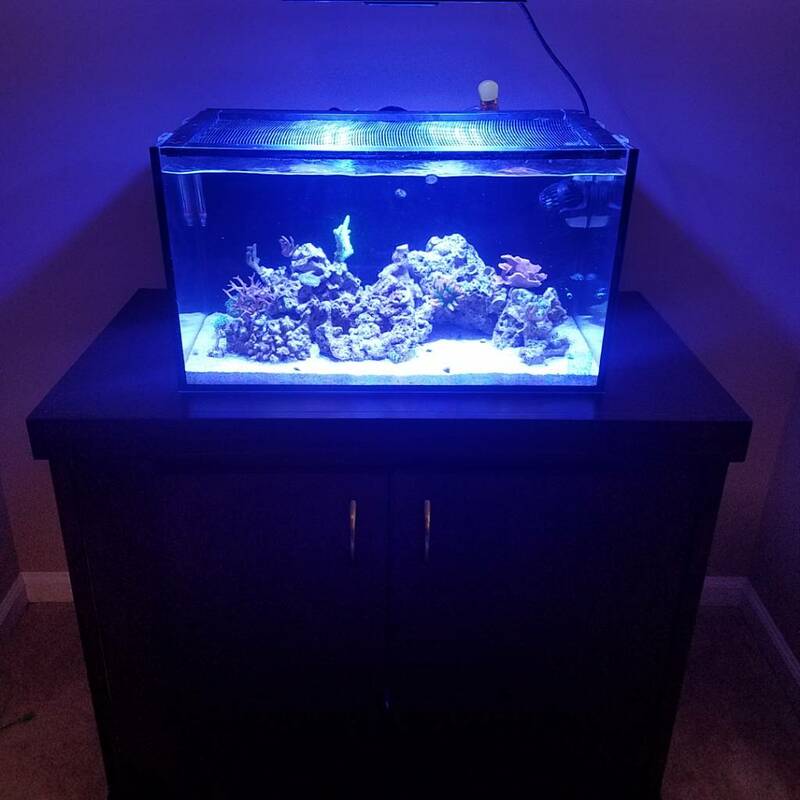 I'll hopefully be moving back to my 40 gallon soon so I'm not going to do too much to this thing. 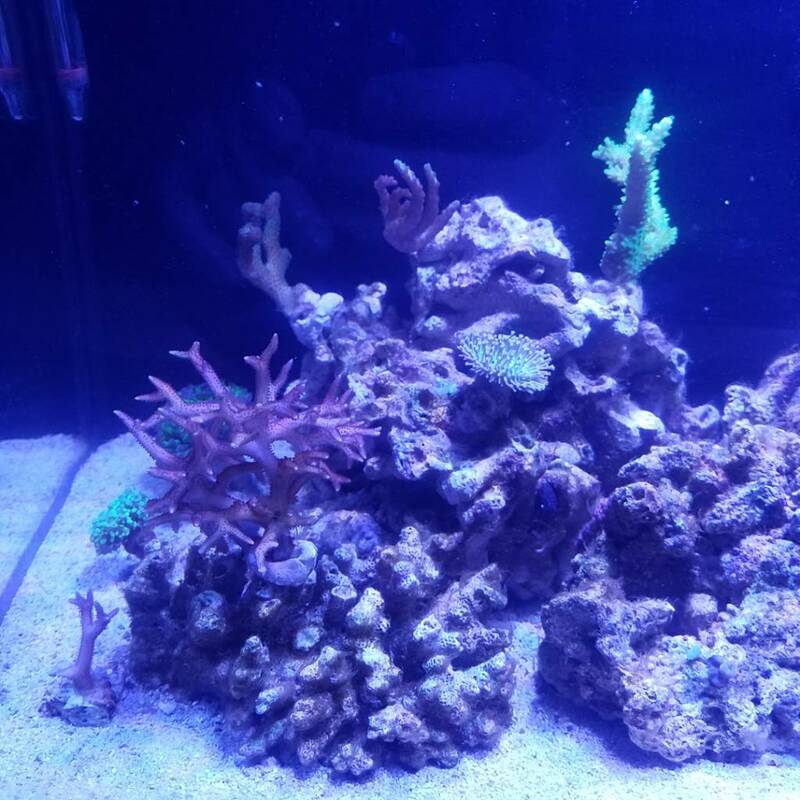 I started dosing 2 part and it was like hitting the turbo button on my Coral growth, zoas started growing and my Monti might be too big for the tank soon! 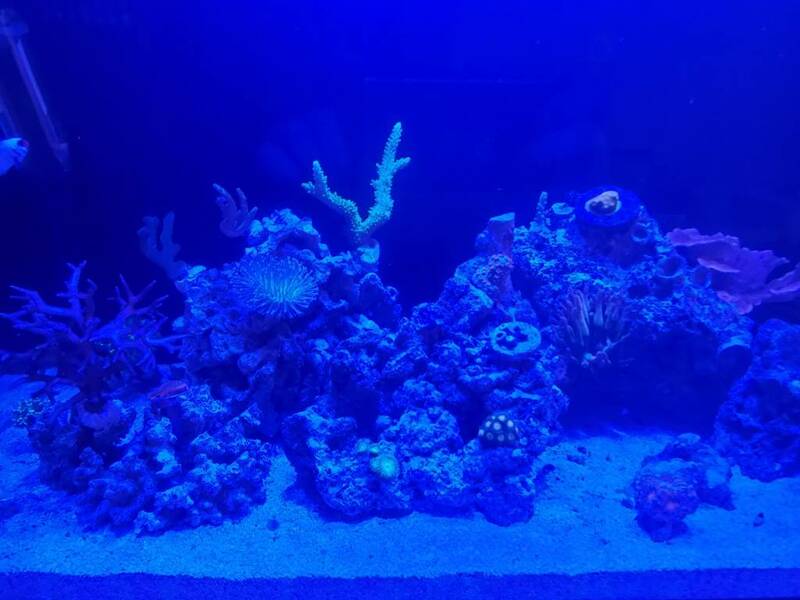 Added a recent picture of the tank under the blues. 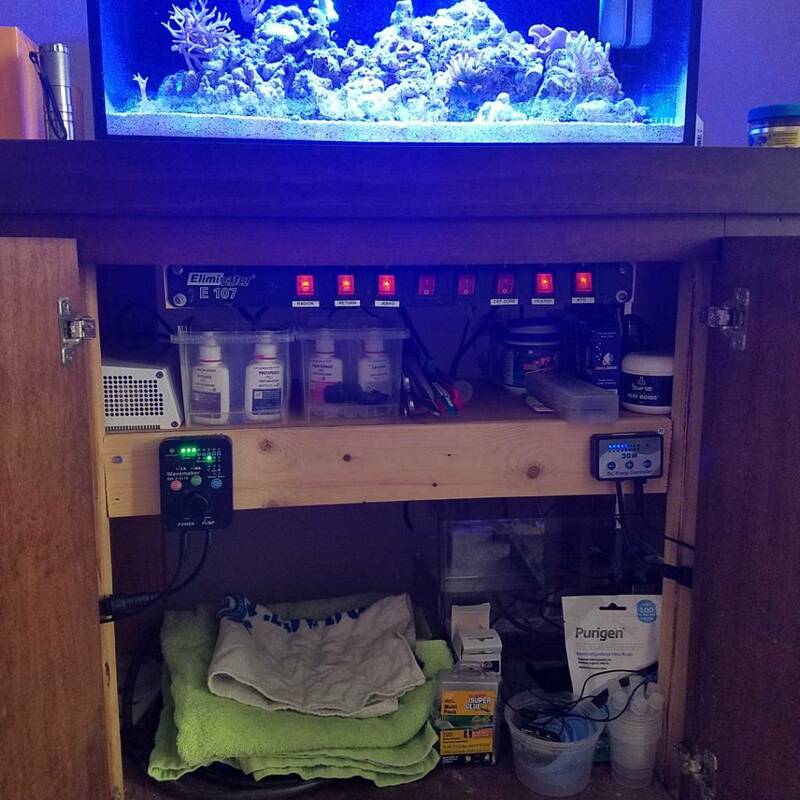 40g = more space for stonies!!! And fish! 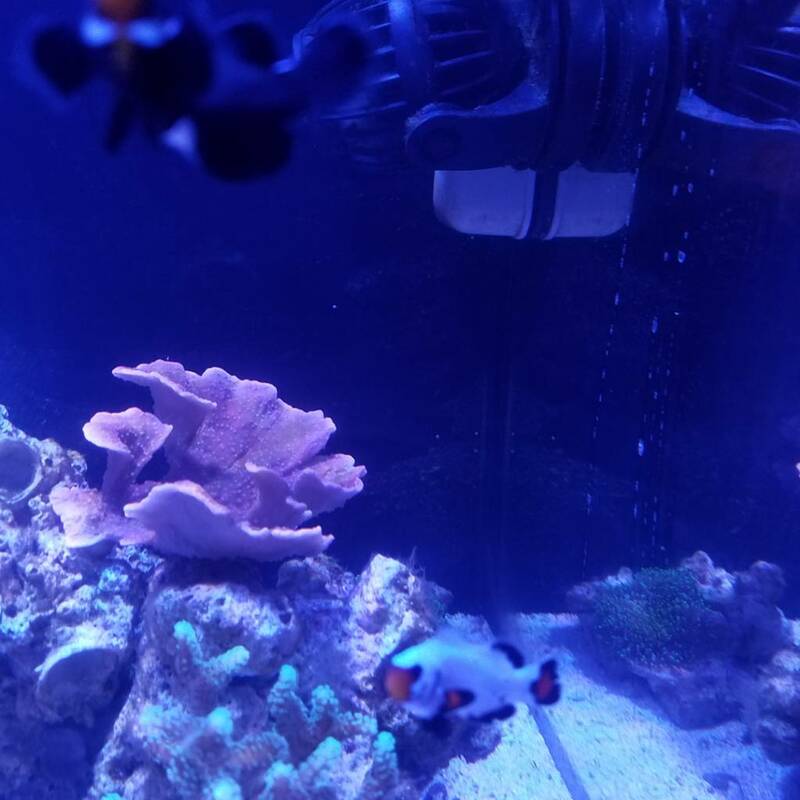 The wife doesn't seem as excited as me but she didn't with the 20 gallon either. Thanks Tommy! Not looking as hot right now (thinking I went a little crazy with the two part) so things are a little.... Erm .... Brown. 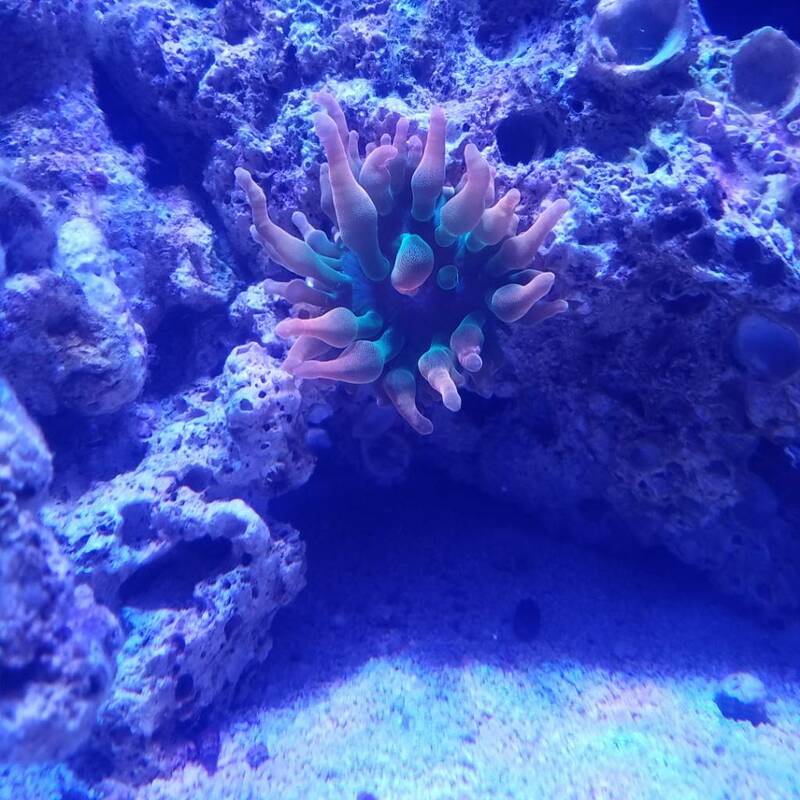 In other news, the anemone decided to stroll around the tank. Hoping it settles just a few inches higher than it is now.